SCVHistory.com LW3456 | Canyon Country | Solemint Store, Cafe, Chevron Station, ~1940s. 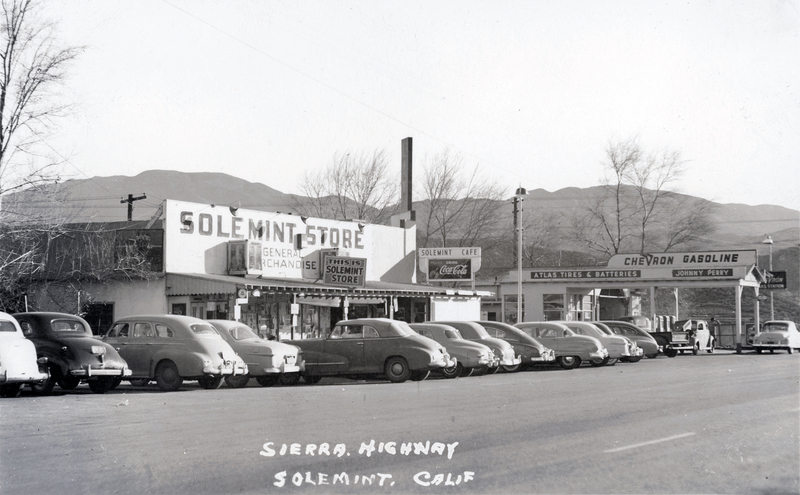 Solemint Store on Sierra Highway in the section of Saugus now known as Canyon Country, just south of Solemint Junction (intersection of Sierra Highway and Soledad Canyon Road), circa 1940s. Also shown: (Later Judge) C.M. 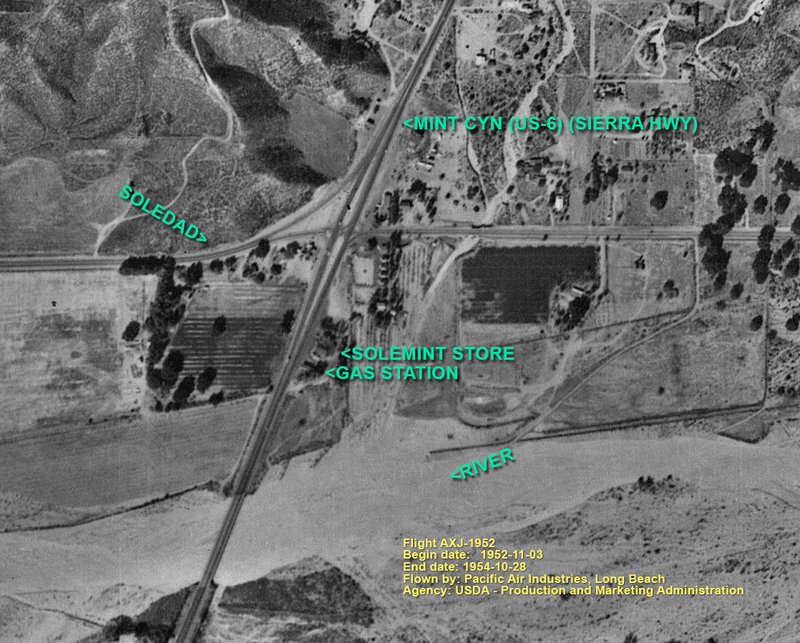 and Olive MacDougall's Solemint Cafe and Johnny Perry's Chevron gas station (which was previously a Standard station). The Chevron logo is correct for the 1940s. In the large archival version, note the man at far right with his hood up, gazing into the horizon, appearing to wonder when AAA is going to arrive. (He's already at a service station, so ...?) Meanwhile, near the center of the photograph, a woman sits in the driver's seat of the convertible, probably waiting for her husband to return. Unused real photo postcard (3½x5½ inches), Kodak paper, divided back, no other markings. LW3456: 9600 dpi jpeg from original RPPC purchased 2018 by Leon Worden.